Javan Shah, a senior majoring in business administration, launched Dinobo, an application connecting students for summer storage solutions on March 26. Shah described the startup service as an inexpensive and convenient way for students to store their belongings close to campus during the summer months. 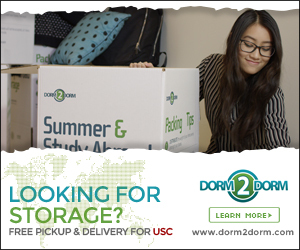 The platform connects students who stay at USC over the summer with those who want to leave their belongings near campus. The main advantage of this service is that it is much cheaper than the traditional storage companies students usually use. Shah spoke about how the initial idea stemmed from his own personal experiences finding storage space during the summer. “When I was a freshman, I saw this need for places to store goods because I had that need myself, and because some people stay here during the summer, I just thought how great it would be if we could just match those people up,” Shah said. 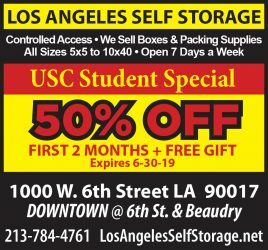 In an email to the Daily Trojan, Shah described the benefits of Dinobo compared to other storage services and facilities. For enhanced security and safety, only students with a USC email address can sign up for the service. After creating the application, Shah used social media and physical flyers to market the service to students around campus. 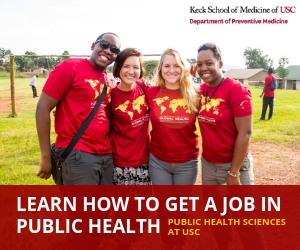 “For marketing, it is a little difficult to reach all students, partly because there’s so many of us. But once they find out what the website is, the response is usually overwhelmingly positive,” Shah said. Shah spoke about how his personal background and education contributed to the conception and creation of his business. Shah also discussed how his experiences as a USC Marshall business student prepared him to launch his own startup company. “Marshall gave me exposure to creative students who like technology and entrepreneurship. You get more ideas and improve your thinking when you discuss and brainstorm with people who have similar interests, but may have different viewpoints and opinions,” Shah said. Though the initial stages of introducing the service will be focused on the USC campus, Shah also touched upon the possibility of bringing it to other universities.